The colder months are slowly making an appearance, but you can still keep warm and enjoy an indoors community market. Held at the historic Hahndorf Institute; Pop Market is a recent addition to Adelaide's handmade markets, with a variety of stalls selling all sorts of unique gifts and objects; all made, designed and crafted with love. The second and fourth Sunday of every month, from 11:30am to 5pm, the Hahndorf Institute sees a myriad of stallholders marching inside with their handmade goodies and bright smiles, buskers and musicians tune their instruments and warm their voices to wake up the sleepy ones and invite curious tourists, makers, crafters and artists alike share their skill, showcase their creativity and trade their products. Pop Market in the little old German town is alive, making each and every person who crosses the door a character with an important role in a story to be repeated and enjoyed by everyone. 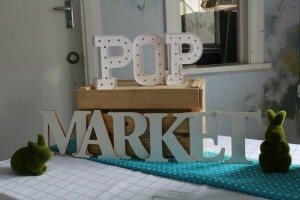 Pop Market features anything handmade, in fact it is a requirement you must meet if you want to hold a stall. This guarantees everything for sale is unique, a piece of someone's imagination, an effort from their hands and their endless time spent in designing, sourcing ingredients or materials to finally create a product. So if you enjoy one of a kind locally made goodies,make your way to Hahndorf, pop in and make yourself part of this story. Do you know if they sell plants?